How to do different layouts & Spreads! Learn how to trust your own intuition! Are you interested in learning how to read the traditional Tarot deck? 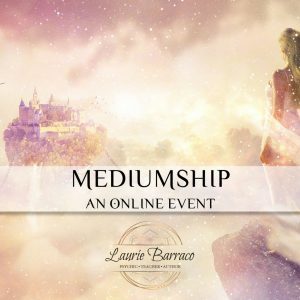 During this workshop, Professional Psychic/Medium, Teacher, Author and owner of The Mystical Moon, Laurie Barraco will guide you through the process of creating a sacred space for readings, opening up your psychic channel and creating a solid foundation for reading the traditional Tarot deck. * We will be working with the Rider Waite Deck, please be sure to have your Rider Waite Deck to practice. Platform: Zoom will be required for online event! Free to Download! Direct link will be sent via email after Purchase!